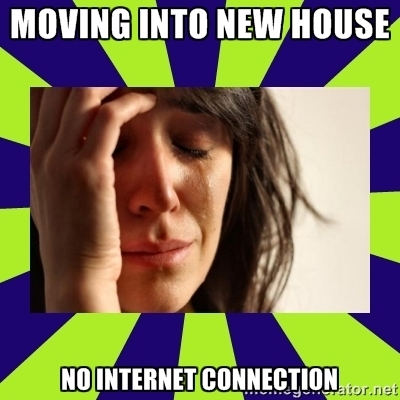 Moving house can be the best, and very quickly, the worse decision one can make. In the 15 minutes you get to inspect a house (and subsequently decide whether you want to live in it) you may come to find that things are not exactly how you envisioned them to be. Sometimes, just sometimes, real estate companies may used terms that make a property seem slightly better than they are. Susan loved the fact that her new place had no dishwasher. Will suit single child or tenant with no intention to furnish. Possibly the previous resident was elderly and died there. Nothing of interest within the house. Bathroom has stainless steel taps instead of white plastic ones. A Post Office and Petrol Station nearby. People hanging out at the bus stop at your front door. Goldfish and/or small bird allowed. Contains poor-taste furniture too bulky to remove. No privacy within the house. Has more than one power outlet. Walls painted by a professional. Strip of grass behind house. Has a back door leading out to the back fence. Shed with a washing machine out the back somewhere. Majority view of another building.